The Hammond Rotary Club’s 100 Days of Service Projects, an initiative to celebrate the 100th anniversary of the national club’s local district, will focus on an effort to work on 15 home projects with the Ginger Ford Northshore Fuller Center for Housing. 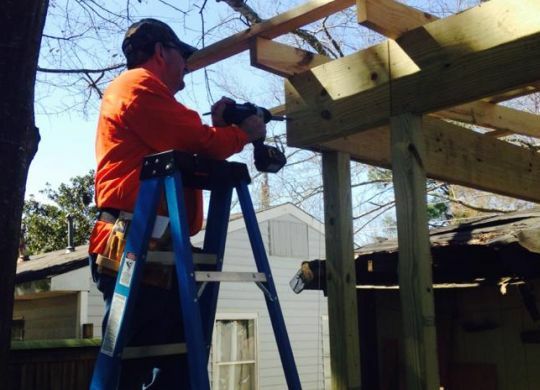 From Jan. 1 until April 10, Rotary clubs in District 1680 are sponsoring service projects throughout Southeast Louisiana and south Mississippi. The Hammond club is partnering with Ponchatoula and Northlake-Mandeville Rotary Clubs, and Northshore Homebuilders Association for this Fuller Center initiative. If your service organization would like to work with a local Fuller Center group, click here to see if there is a partner in your area.